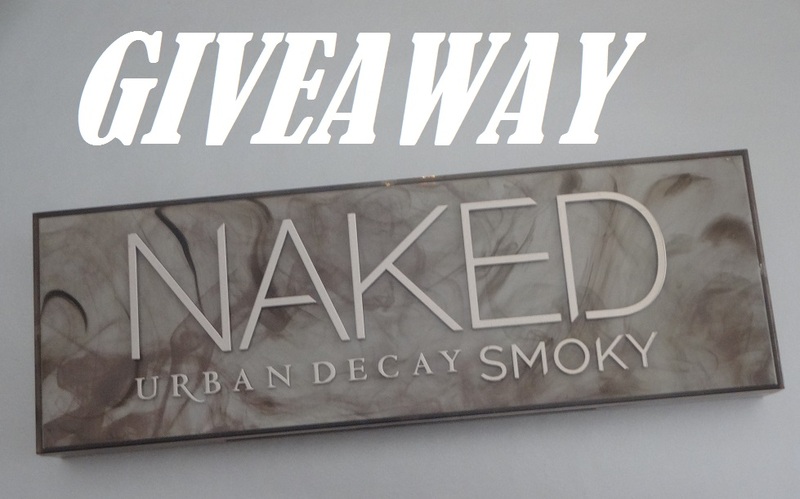 Hey guys, today is the start of my brand new international giveaway to win an Urban Decay Naked Smoky palette. This giveaway is in celebration of my YouTube channel reaching 1600 subscribers!! Thank you to all of you who have subscribed to my channel and followed my blog <3 It means a lot to have so much support for them both. Anyway..on to the giveaway. As I’ve said already the giveaway is of an Urban Decay Naked Smoky Palette which is the newest Naked palette to come out. You might be able to tell by its name but this palette’s eye shadows are perfect for creating smoky eye makeup looks. My first thought when I saw this palette was how cool the packaging is. It’s just so pretty, probably my favourite of all the Naked palettes. It has a hard case which is great for storage and would be easy to wipe clean, unlike the furry sort of finish that the original Naked palette has. Inside you get twelve eye shadows. Some of them are shimmery and some are matte, although I think the majority of them are shimmery. The colours vary from warm golds and browns to cool blues and greys. This palette is so versatile that you could basically use it for any occasion, from an everyday look to a very dark makeup look. Now onto some of the conditions of the giveaway and the rules on how to enter. All entries will be verified to keep the giveaway fair. The giveaway will have already started when this blog post is published (18th August 2015) and will end midnight the 22nd September 2015. This is not a sponsored giveaway and the prize has been bought with my own money. Below are the different ways to enter the giveaway. The winner will be notified within 24 hours after the giveaway ends and will have 48 hours to respond before I pick a different winner. I will do an update blog post to let you all know who the winner soon after the giveaway ends. Leave a comment below letting me know which is your favourite colour from the palette and why you would like to win it! Thank you all again for supporting my YouTube channel and good luck in the giveaway! !